Free Ground Shipping. Usually departs warehouse in 2 business days. Ships from Georgia. Heavy gauge steel constructed frame makes this lift durable and reliable, the six point spreader bar allows for 360° rotation. The Hydraulic lift uses Lumex® six-point, four-point and two-point slings. 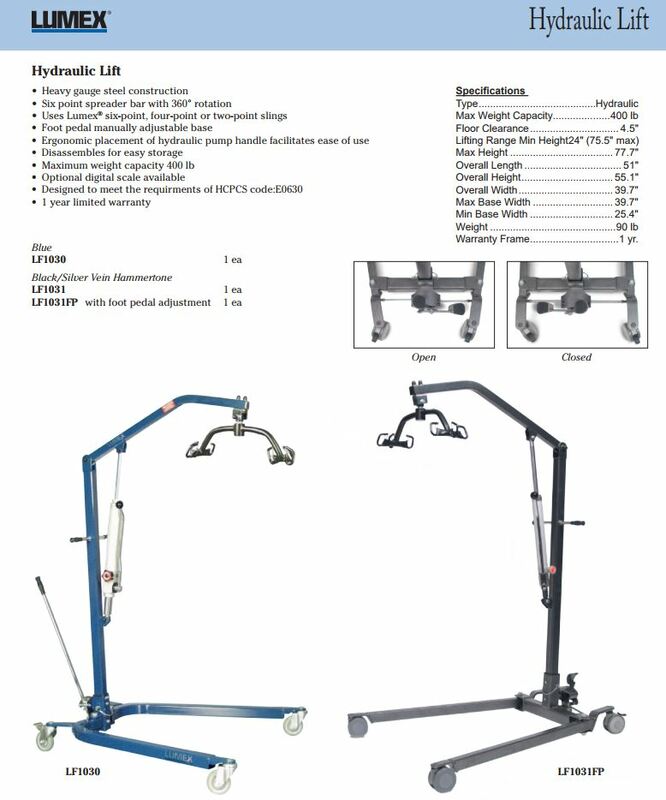 Lifting Range Minimum Height: 27.4"